This seven-day adventure showcases the best of the majestic Himalayas. 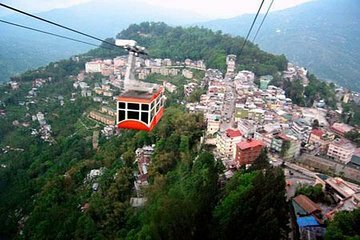 Tour the tea plantations of Darjeeling, take a cablecar ride over the Darjeeling-Ranjit Valley, and see a traditional aarti ceremony on the shores of the Ganges River in Varanasi. Take in stunning views of cloud-capped Himalayas during a stay in Gangtok. This tour includes a one-way flight from Bagdogra to Varanasi to save on time and allow for even more exploring.